To say this recently released teaser by the CW for the second season of The Flash is brief is a major understatement. Reading the last sentence took longer than the ten-second video below. However, two little nuggets can be taken from it like a first look at WWE's Adam "Edge" Copeland as the villainous Atom Smasher and the Flash-signal. The Flash-signal? 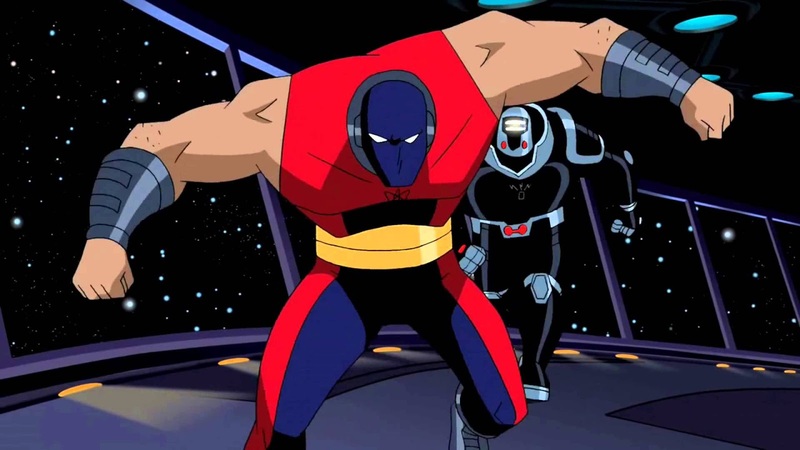 We won't have to wait long to see Atom Smasher as he'll make his debut on the season two premiere. In the comics, he was known as Al Rothstein and was a hero with affiliations with Justice Society of America, Infinity, Inc., and Suicide Squad. His powers include the ability to manipulate his molecular structure allowing him to increase in mass giving him super strength. He was briefly a villain while with the JSA. The biggest surprise is seeing the homage to Batman's Bat-signal with a shot of what looks like a lightning bolt emblazoned searchlight. Without any context who knows if it's a legitimate signal or just a sly in-joke. Either way 'The Flash' returns Tuesday, October 6 on the CW.